Negotiating & Procuring Offer In Compromise (OIC) Deals That Can Dramatically Reduce The Amount You Owe. We Handle Everything. You’ve seen and heard TV and radio personalities promising “pennies on the dollar” settlements for Michiagn, your State, or IRS tax debt and wondered if they were legitimate. The answer is maybe—there are proven and effective ways to substantially reduce your tax liability, and there is no question that you should pursue them if you qualify. The solution they are most often referring to is called an Offer in Compromise. Offer in Compromise (OIC) programs allow you to pay the IRS, and in some states like Michigan, a lump sum to settle your tax burden. Upon acceptance and payment of your Offer, all applicable tax liens are removed, and you can move on with your life. You’re being misled, however, if an unscrupulous company implies that anyone with tax debt can receive a cut-rate settlement—especially if such company requires up-front full payment for services. 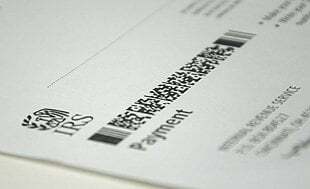 The IRS and State Tax Agencies have strict guidelines to decide who qualifies for an Offer in Compromise agreement, determined by a set of calculations based on your income, assets and allowable living expenses. Generally speaking, those who qualify for OICs are taxpayers with tax debt who are experiencing financial hardship. If it’s financially impossible for you to pay off your tax debt there’s a very good chance that you’re eligible for an OIC settlement for a lesser amount than what you currently owe. Unfortunately, qualifying for an Offer in Compromise is less than half the battle. Preparing and negotiating Offer in Compromise settlements is a complicated procedure which can take anywhere from six months to a year to complete. The analogy we draw to clients who ask “Can I do it myself?” is that this is much like trying to represent yourself in a criminal trial—you can do it, but most people would agree that in order to get the best outcome, you should hire an attorney. The percentage of accepted OICs for people filing on their own is less than 50%, whereas our Offer in Compromise acceptance rate, for example, is over 90%. See our settlement results. Not only are your chances of success dramatically higher with professional help, but our expertise in Offer in Compromise negotiations with the IRS, State of Michigan and other state agencies will help you obtain the lowest possible settlement amount. To see if you qualify for an Offer in Compromise (OIC) contact us at (877) 829-2455 or schedule a initial consultation.